The nice thing about having a diverse selection of quality breweries in the Central PA area is that there are ever changing number of beers being tapped. If you are in the area here are some new ones you should take the time to check out. 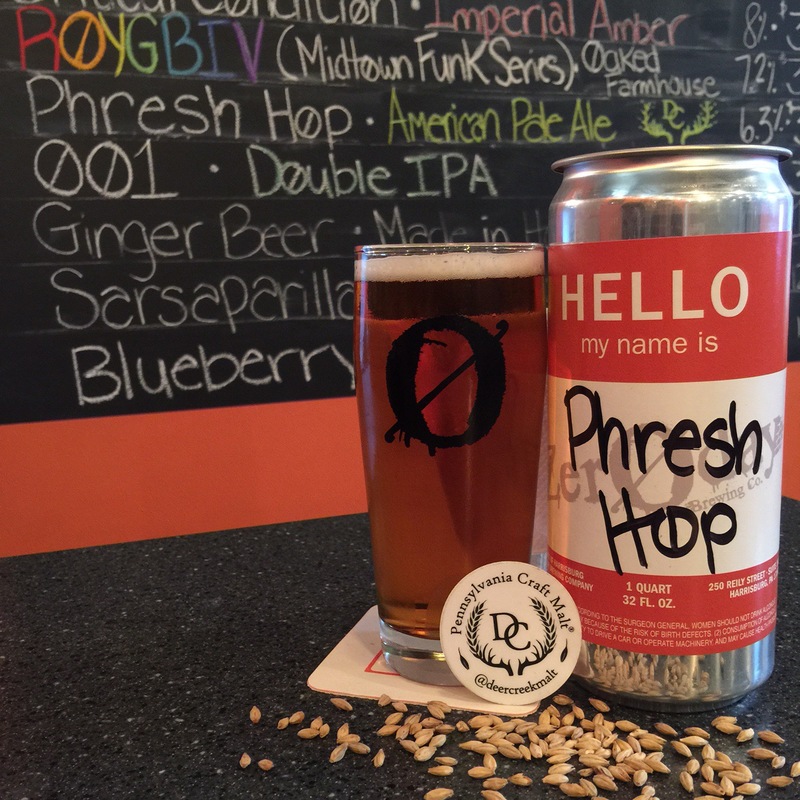 Phresh Hop APA by ZerØday Brewing Company. This American pale ale was brewed with local malts from Deer Creek Malthouse. When the folks at Zeroday went out to pick up the malts they were told the Cascade hops had flowered early. 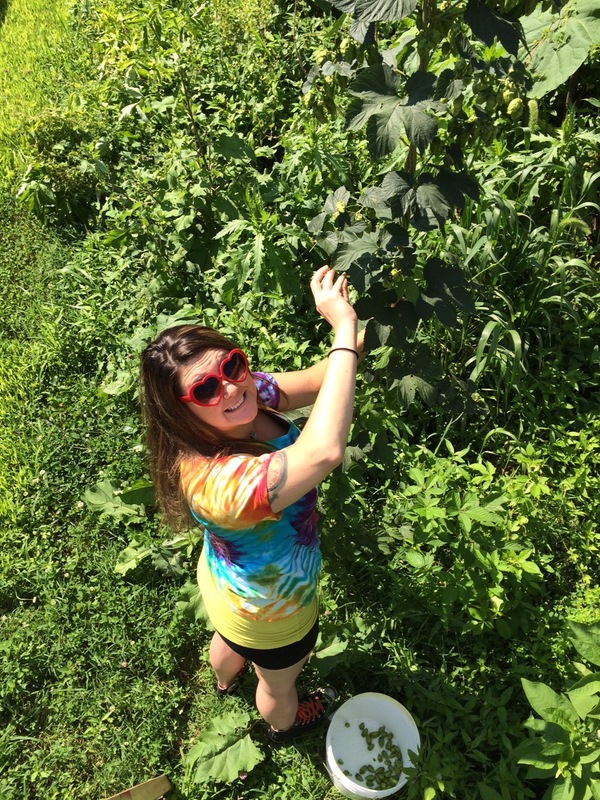 Theo and company got the chance to hand pick 25 pounds of fresh hops. About 14 hours later those hops were in the boil. This crisp and light bodied ale is floral and slightly spicy in the nose. The flavors of pine and hops resin are in abundance; as is alpha acid for a proper bitterness. This beer is a great demonstration of how local ingredients can make for a unique experience. ØØ1 – Double IPA also by Zeroday is the one you should try first when arriving. ØØ1 is the beer that takes Zeroday from good to great. In my initial review from their opening week I was impressed how right out the gate each beer was good; that the beers did not taste like they had just opened. I thought the ceiling on this brew house was very high. This beer signifies I was right. ØØ1 is balanced. Tons of hops but low bitterness. The hops shine through from start to finish with floral and resin flavors in the nose and hanging around for long lingering finish. This beer gets dank as it warms up; not a bad thing. This boozy beer never drinks as big as it should, coming in at nearly 10% ABV. 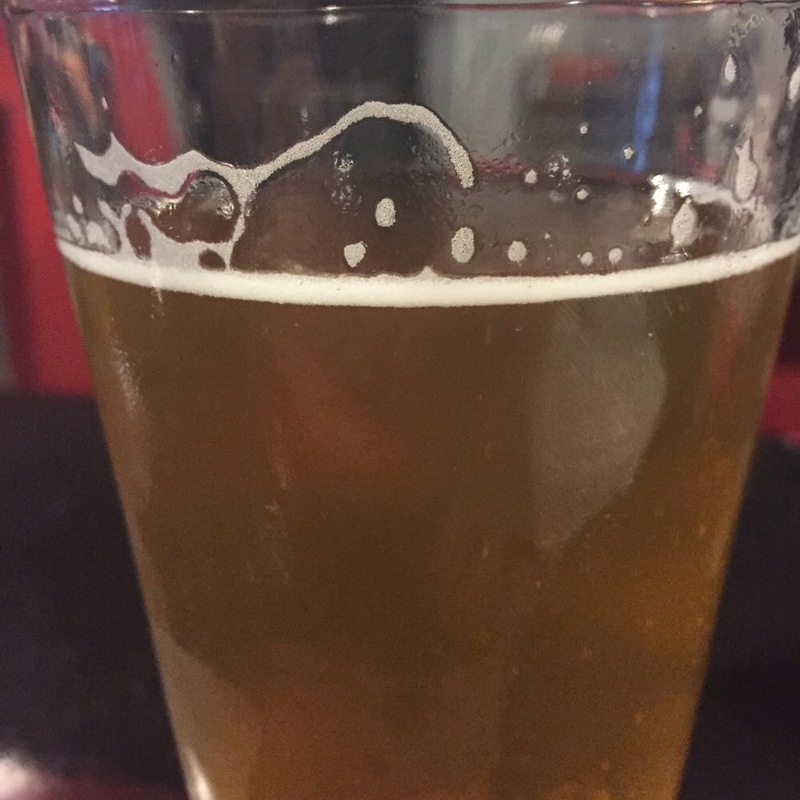 Moo-Duck Brewery in Elizabethtown tapped two interesting beers recently. The first is The Remedy Honey Chamomile Wheat. Brewed with chamomile at three different junctures, the soft calming herbal flavors come through in the nose, the flavor, and the finish. Drinking of apple and earthy tones the flower infused light ale was sweetened in the finish with a honey backbone. After a hard day of work this beer is soothing. Easy drinking and as calming as the tale of Peter Rabbit who was sent to bed with a cup of chamomile tea. I would not mind being sent to bed with this beer. 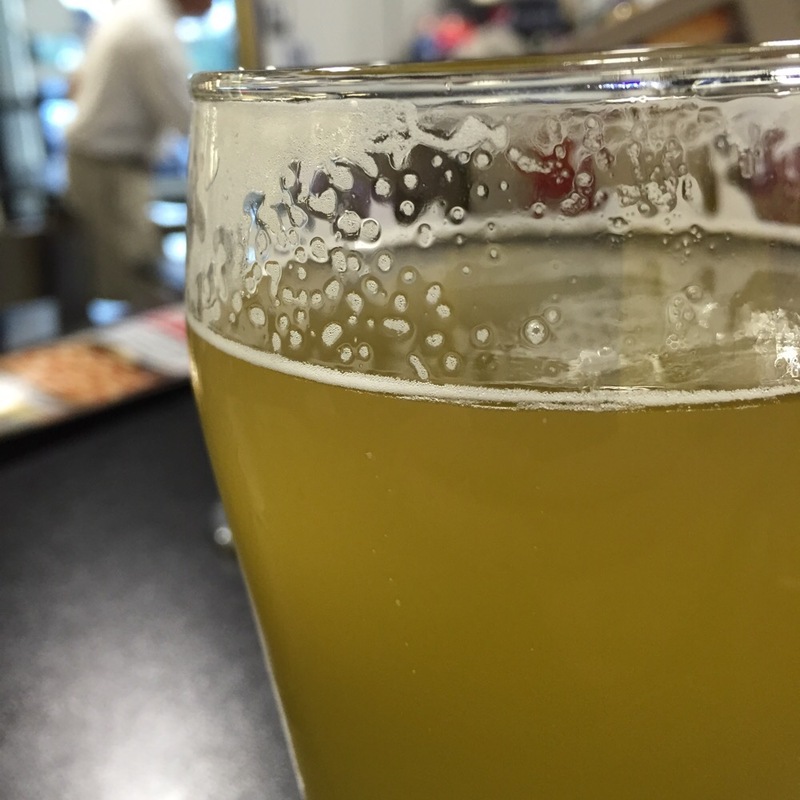 Chamomile has many health benefits and I hope to get all of them after drinking this beer. The Remedy is exactly the kind of beer Moo-Duck should be famous for: herbal, flowery, and earthy. When I think of flavor profiles for this brewery, I think of those three. The best beers they make are herbal, flowery, and earthy. Moo-Duck used the National IPA day holiday to debut The Big Mango Imperial IPA. This big IPA is nicely hopped without being a bombed out bitter. Big in the name is fitting as the beer sits at 11% ABV and it drinks big. Sweetness in the finish from the week of rest on mango puree, the nose is a little wanting but the finish is nice and dry with plenty of mango flavor. This was a nice beer and I picked up a growler to take home. 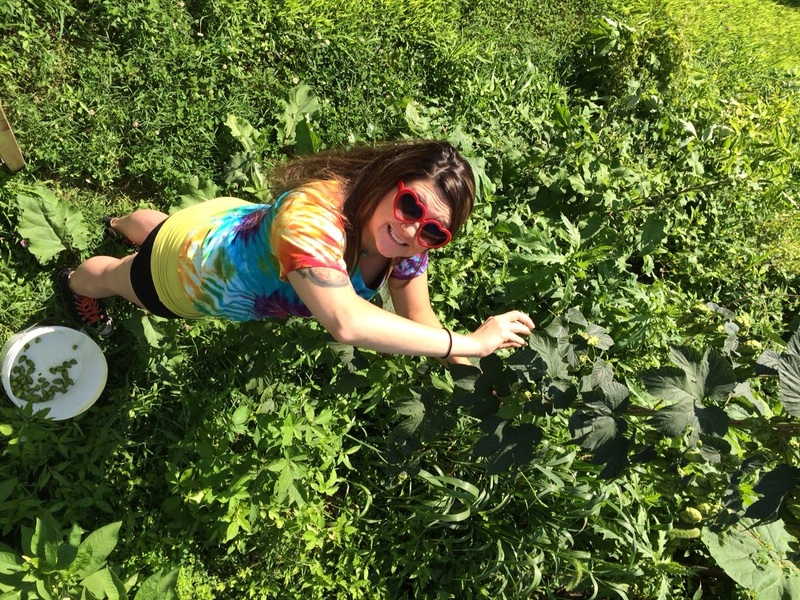 Columbia Kettle Works recently brought Sun-Kissed Gose to their taps. This unfiltered sour wheat is brewed with coriander and sea salt, then rested on fresh navel oranges. The orange flavors come through fresh in the aroma. The beer has a pleasing whiff of orange oil and yeast. Light bodied and refreshing to the palate it disappears quickly from the glass. The coriander was not evident but the sea salt played nicely with the slightly sour tang at the end. If you are lucky, CKW will be tapping Citra Session IPA this weekend. (Update: It is on tap!) I got to try this beer at the Hops & Clocks event and it was outstanding. If you like Citra based beers it is an excellent spotlight on the citrus, tropical and grapefruit notes brought forth by this very popular hop variety. The Marzens, Oktoberfests, and Pumpkin beers are already starting to show up. But the above beer deserve your attention now before they are gone. Soon enough the heat and long days of August will be cooling off. There will be plenty of time for those beers. Special thanks to Brandalynn Armstrong for the Phresh Hop photos.